Wyoming Knights lead the way at the annual Cheyenne March for Life. Photo by Matthew Potter. © Diocese of Cheyenne. 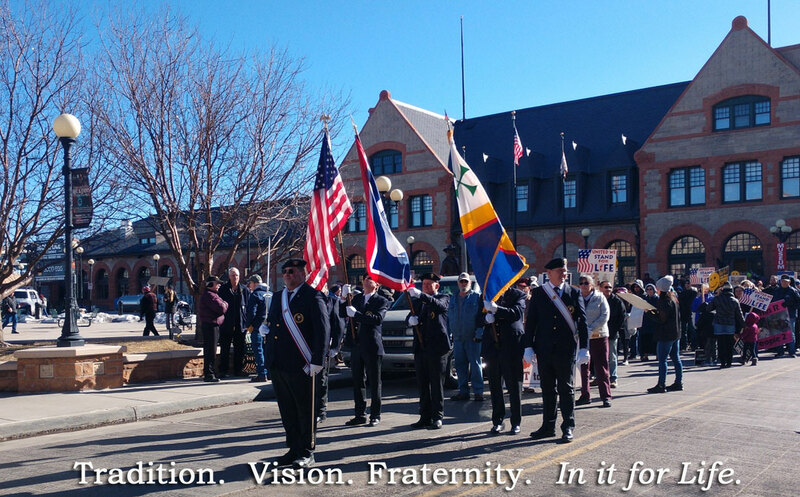 Welcome to the Wyoming State Council of the Knights of Columbus Web site. We are a Catholic family, fraternal service organization with 29 local councils and more than 2,600 members spread across the 97,818 square miles of Wyoming. The membership of our councils reflects all of the strengths and diversity of Wyoming. We have members of all ages, occupations, and ethnic backgrounds and each member brings to the organization unique gifts and talents. Father Michael McGivney founded the Knights of Columbus to help Catholic men remain steadfast in their faith, promote closer ties of fraternity among them, and set up a system that would help fellow members and their families in times of hardship. Today, over 130 years later, the Order is still true to its founding principles of charity, unity, and fraternity. I encourage you to peruse this Web site and review the many charitable and service programs and activities of the Wyoming State Council. We welcome new members to share in the camaraderie of the Knights while helping us build more dynamic parishes and communities. Vivat Jesus! April 2019 Cowboy Bulletin now online. The Knights of Columbus 18th Marian prayer program features a pilgrim image of Our Lady Help of Persecuted Christians. Wyoming will have two icons travelling across the State beginning October 1, 2018 (see schedule for details). Questions? Contact Mike Pexton at (307) 331-1184. Insurance Field Agents & Assigned Councils updated 2-08-2018. State Convention, April 26–28, 2019, Ramkota Inn, Casper. For more information, contact State Secretary Bret Ladenburger at (307) 760-1003. 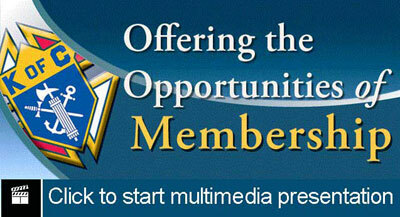 For more information about joining our Order, visit the Knights of Columbus Supreme website. Web hosting courtesy of WyomingNetwork.com Internet Services.